Founded in 2002, Big Fish is the world’s largest producer of casual games; dedicated to bringing engaging entertainment to everyone, anywhere, on any device. Through its proprietary, data-driven platform, millions of consumers seeking engaging entertainment easily discover and play PC and mobile games created by Big Fish’s network of more than 600 development partners and its in-house Big Fish Studios. Please note: the stated reward is for new customers only. 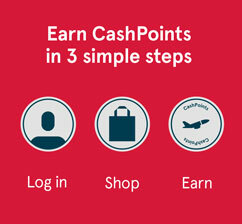 Existing customers will receive a different reward.